This Global Conscience piece was originally published in Transfer #17. You can find all our back issues HERE. 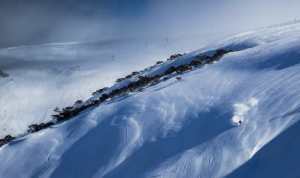 Snowboarding, as a lifestyle, is inextricably linked to the natural environment. In my opinion, there really shouldn’t be any such a thing as a rider who isn’t – at least in some small way – in tune with the need to protect and treasure the earth and its natural assets. I’m sure I speak for not only myself, but many others, when I say that the reason I feel a strong urge to protect and nurture the mountains, is precisely because it was snowboarding that led me to gain an appreciation for it in the first place. The rivers, the lakes, the mountains and the climate; they’re all connected, and we depend on the links and interactions of these delicate ecosystems to provide us with snow, winter, after winter. Not all that long ago, I had a realisation: my own small ‘aha’ moment. While I have always been a devout follower of a broadly ‘sustainable lifestyle’, and I had been doing as much as I could to ensure that I was at least aiming toward an existence that could be in some way sustainable. I realised that being a snowboarder, probably meant that my impact on the natural environment wasn’t all that crash hot after all. At least not when you compare it to other lifestyle pursuits that are more accessible without strain on the earth; say surfing, or climbing for instance. Now, I’m sure there are a few people who would have a few bones to pick with this line of argument. And if this is you, consider this: every winter, we drive, we fly, we ride lifts, we rely on snowmaking, and we stay in energy-intensive, poorly insulated houses with the heater cranked. Then, to top it off, when the Northern Hemi winter rolls around, we drop thousands of dollars of our hard-earned cash, in order to fly across the world and ride the mountains and snow that we dream of all year long. By now, you might be picking up what I’m putting down? I’m not directly criticising anyone, or even everyone for this, and this rant is mostly just that. But I would like to point out that the fact our lifestyle is generally touted as being one with nature, and because so many people who pursue a life in the mountains are genuinely interested in trying to preserve it, we all have an inherent obligation and responsibility to do what we can to protect it. And so my central theme begins to unravel. How can we make sure that in the world of corporate greenwashing, carbon intensive transport and the ever-increasing burden that will one day be bestowed upon the next generation of rippers, we don’t continue to create an industry that causes further destruction, without consideration for its impact? The answer is simple: it relies on you. So what does this mean for their products? Well, they’ve implemented what they call the Green Mountain Process, which is effectively an undertaking to do everything they can to implement sustainably focused decisions through every facet of their business: from boards, to outerwear, luggage and clothing. Jake and his company also signed on in 2011 as a Bluesign System Partner, meaning they have removed a list of materials that are not ‘Bluesign approved’ from their product lines and supply chains. 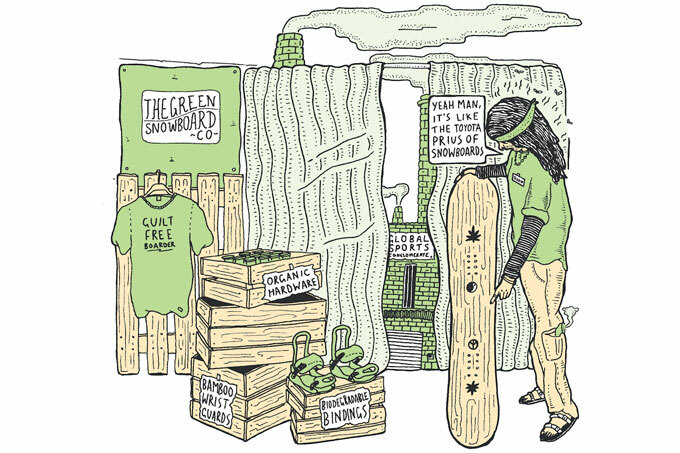 Burton has also partnered with arguably the most environmentally conscious pro-snowboarder in the world: Jeremy Jones. In 1997, Jeremy had a vision. He could see that the overarching impacts of climate change were never going to spell out good news for snow, and so he formed Protect Our Winters (POW). Originally it was just an idea, but now this idea has spawned an army of supporters, from the ski and snowboard worlds and beyond, who are united by the goal of educating the masses and using their own voice as an influence of greater good. For Jeremy this idea changed the entire way he snowboards. Rather than rely on fuel-guzzling helicopters and snowmobiles to film his movies, he set out to film a trilogy of adventure flicks that would be filmed and created using human-power only. 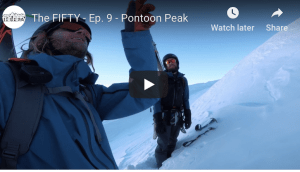 This idea gave him a platform from which to continue his pursuit of riding the biggest mountain faces known to man, but it also had the added ancillary benefit of being a platform from which to launch his own campaign against climate change. Seventeen years later, this campaign has seen Jones and his team of supporters reach as far as the United States Congress, and as near as simple visits to primary school students through his campaign: Hot Planet/Cool Athletes. The success of Jones’ initiative is really based on the relatability of his fundamental message, and the iconic ambassadors such as Gretchen Bleiler and Travis Rice who have joined forces with him, and helped to provide a unified voice to his cause. Also leading the charge with the environmentally focused manufacturing process is Mervin Manufacturing, the makers of Lib Tech, Gnu and Roxy snowboards. 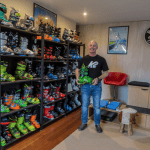 Mervin really could be considered to be pioneers of environmentally conscious snowboarding, as they have had an environmental undertone throughout their business since they were founded by Mike Olson and Pete Saari back in 1977. 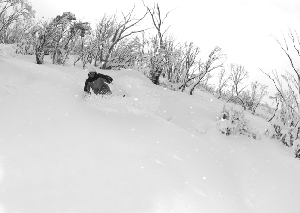 While nearly every other major snowboard brand has moved their manufacturing process offshore, to China or Europe, Mervin have continued to make their boards in Carlsborg, Washington. 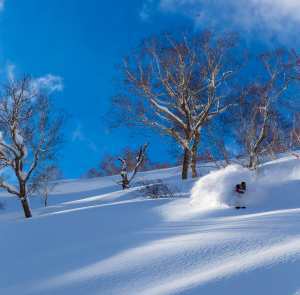 This gives them complete and total control over their manufacturing processes, and enables them to ensure they are fulfilling their promise as the world’s most environmental snowboard brand. While all these brands and movements are aiming to make a big difference to the overarching impact of snowboarding by arming consumers with the products they need to lessen their impact. The sad fact remains that there are many companies out there who aren’t placing enough importance on their own footprints. For those that are, the question must be asked, is what they are doing simply ‘greenwashing’? Or in other words, deceptively using marketing hype to create an illusion of environmental consideration, when in reality, they aren’t aiming for any positive impacts at all. Balancing corporate environmental and social responsibility ain’t easy, and this is precisely why I am pushing the idea that the onus lies with you, the consumer. When you buy a new board, new outerwear, or book that next flight overseas to go riding, all you need to do is realise that by making that purchasing decision, you are voting with your wallet. Effectively, you are saying, “Yeah, I agree with this product, I am proud of where it’s made, I am proud of the materials that it’s made with and I care about what I will do with it when I’m done.” Make sure your vote counts.